Around The World, Day 11! Posted 7 years before by admin. - 785 views Views. It is Day 11 for the Around The World Countdown! Today you will be needing Croissants. If you are able to collect enough from your neighbors, you will receive the “French Beret Sheep”. 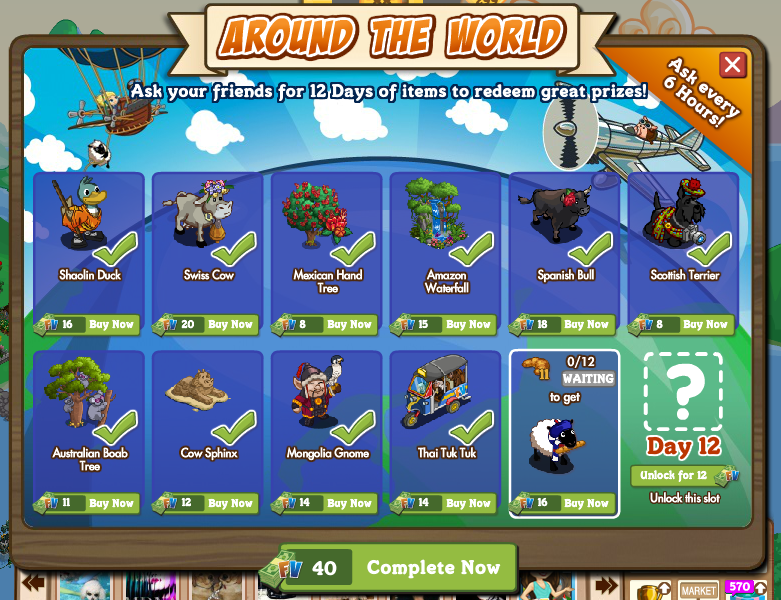 Remember, you will need to collect all 12 items if you want to earn the bonus prize at the end of the 12 days. You can check out all the rewards in our Spoiler Post. Happy Collecting! Around The World : Day 9! Around The World Countdown : Day 2!